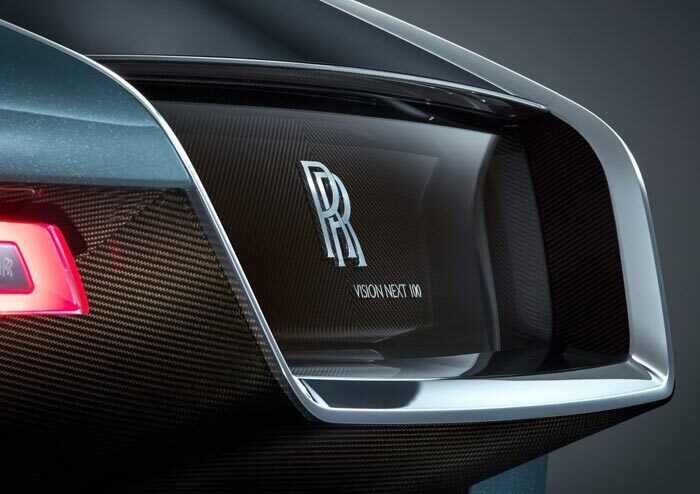 Rolls Royce Motor Cars has revealed its vision of the future of motoring. 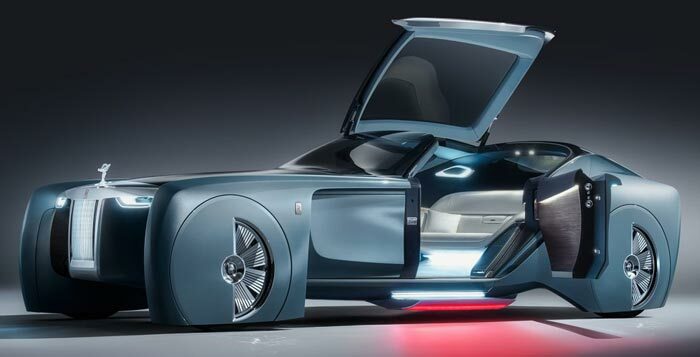 The Rolls Royce 103EX is the first of its Vision Next 100 vehicles and will said to provide effortless autonomous luxury travel. This vehicle will be highly personalisable inside, whatever your desire. Furthermore, with regard to the shape, size and silhouette of the car, "you will be able to craft your vision entirely from the wheels up," says the iconic engneering firm. 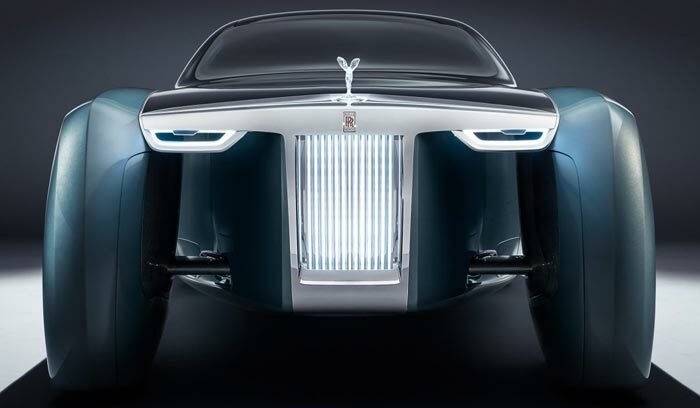 This is a driverless vehicle with a 'spirit of ecstasy' AI called Eleanor who will drive you, guide you and learn your travel preferences and so on. There are no familiar wheels, pedals or such control hardware in the cabin, just a large wide monitor screen. This minimalism of controls, as you will see in the embedded videos, enhances the experience of a "retreat from the world". The interior is a fully customisable luxurious, private, and warm space for relaxation during the journey. Buyers are expected to specify interiors crafted from bespoke, rare materials. After enjoying your relaxing journey, arriving in the Rolls Royce 103EX will make a big statement. En-route it is expected to provide "beacon of luxury," among a sea of commoditised transport. Upon arrival the roof canopy and door opens up, and entrance lights shine "a personal red carpet" out of the car doors. From tomorrow, until the 26th June, you will be able to see the new Rolls-Royce 103EX at the BMW Group Future Experience in London. This first Vision Next 100 vehicle will be at The Roundhouse, Chalk Farm Road, Camden, North London (NW1 8EH). It's just a short distance from Chalk Farm Underground station. Best hope for exceptionally smooth roads with that ground clearance! Oh, I also hope you only ever want to get out on the left too and don't mind the interior being drenched when it's raining when the door opens.